Sorting out a list of top female celebrities is relatively easy for ardent Korean Wave fans who keep tabs on their favorite stars. For non-experts, not many lists offer a guide into who is winning the most hearts in South Korea. 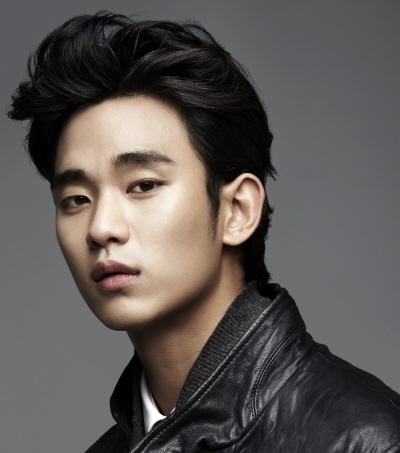 Here is The Korea Herald’s list of the hottest celebrities out there. Bae Suzy, better known by her stage name Suzy, debuted as a member of JYP Entertainment’s girl group Miss A in the summer of 2010. The 20-year-old singer-actress is one of the most talked-about celebrities in South Korea, charming fans with her glamorous image that has won her roles in many TV commercials. Although she debuted as a main vocal of a girl group, she nailed the country’s “first love” image with her role in the movie “Architecture 101” in which she co-starred with Lee Jae-hoon. Other drama series such as KBS2 TV’s “Dream High” and “Big” also helped her rise to stardom. The 23-year-old singer is a member of a K-pop girl duo Davichi, which debuted in 2008. Even before her official debut, Kang was already going viral among Internet users with her pretty face and unique fashion sense. After extensive vocal training, she successfully made her way to professional singing. Fans say her mature and deep voice in contrast with her feminine look is one of her prominent charming points. Davichi released a digital single “Melting” in April, an R&B-based hip-hop track featuring Verbal Jint. The career of Go Jun-hee, 28, has reached a new high this year. After debuting in 2011 as a model for a school uniform brand, she has recently taken over the screen, doing more than 10 commercials in 2013 alone. Go has recently taken the honor of being a poster girl for Korea’s biggest-selling liquor, “Cheoumcheorum” soju. The brand is known for recruiting the nation‘s hottest actresses. After appearing as a supporting role in several mainstream movies such as “Architecture 101” and “Girls Scout” in 2011, she made her way to TV dramas. She performed in “Can You Hear My Heart?” in 2011 and “King of Ambition” in 2013. Go joined the fourth season of dating reality show “We Got Married” with Jung Jin-woon, a member of the hallyu boy band 2AM. She debuted in the TV drama genre with the child role of Choi Ji-woo on “Stairway to Heaven” in 2003. Park gained fame through TV drama series, notably with “Tree of Heaven” in 2005 and “You’re Beautiful” in 2009. Park starred in the cable drama “Flower Boys Next Door” with Yoo Si-yoon and the box-office hit “Miracle in Cell No. 7” which helped her rise to stardom.